Does anyone know of websites or books where I could get some history on the P.O. wagons that are on sale. I assume they are based on real historically accurate companies....or are they not? There are a number of books I have about 14 of them and my collection is about half of the ones out there. If you go on flea bay and you will find a load of them. Most of the PO wagons produced are real in as far as the companies and the liveries are real but most of them are probably not on the correct wagons. This is because of the variations in wagons make them hard for the big boys to produce any other than generic wagons. Here's a selection of books... Be very careful though, one can end up with more books than wagons and spend more time doing research than modelling. Which isn't in itself a bad thing - it depends what your interests are. If you're only going to get one book, try this - although the title suggests a very specific topic, it in fact contains the best general review of the history of PO wagons. And it's a snip at just £7. RTR PO models are a minefield. There are some very good RTR models of PO wagons around and some horrors dating from an earlier era of RTR. Most of the liveries offered are authentic in that they are based on genuine PO liveries but unfortunately in a great many cases these liveries are applied to inappropriate wagons. 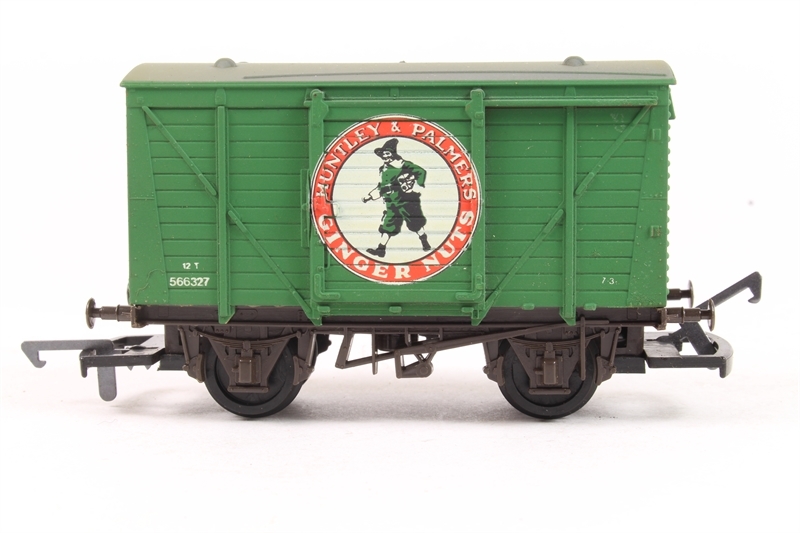 Look at, say, the Bachmann 7-plank wagon - rather a nice representation of the 1923 Railway Clearing House standard design, rated to carry 12 tons. How many of them are in liveries saying "To Carry 10 Tons"? It's "only a wagon" they say. Only the vehicle which earned the railways their bread and butter. Far more important than your high-falutin' Pacific. EDIT: Marc first past the post by a short head. It is an index to almost all he books with information on PO wagons, so that at least you can obtain the ones you need rather than all three dozen (at a rough estimate). I have almost all that have been printed though not Len Tavender's Coal Trade Wagons. Thanks for the comments....very interesting and will follow up on those links. My biggest question with this post was around what plarailfan said about imaginary ones ... how do we know and how do we get information on the company? As an example....who were Pugh & Co ? The various Lightmoor authors - Turton, Pope, Kelham - usually give some notes on the owners (or more usually, hirers) of the wagons they illustrate. Often, they give an indication of the size of fleet that user had - varying from thousands for the really big colliery companies and coal factors through to a handful for the small town coal merchant. As to fictitious liveries, after studying a couple of these volumes one will have developed a nose for what is realistic. Any household brand on a van, for instance, is very likely to be complete cod, though there are exceptions. Remember that PO wagons were almost exclusively for coal traffic* - almost all other traffic being handled in the railway companies' own wagons. Many well-known firms had factories consuming large quantities of coal and so did have coal wagons with their brand name on. *Folk'll be along to give exceptions but they are, in the grand scheme of things, exceptions. In the heyday of the PO coal wagon, there were around half-a-million of the things in circulation. I won't say that a company not appearing in the index I cited means that there were no wagons, but it makes it much more likely that any model with that company name is a creation of the model manufacturer. 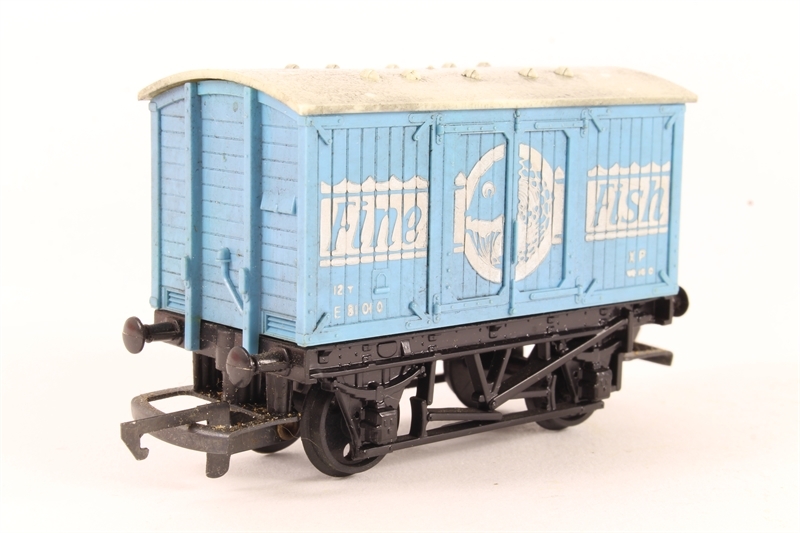 And that Hornby fish van may be in an imaginary livery but it is the only RTR model I know of for the Hull & Barnsley Railway - though never available in that livery as far as I know. A much bigger problem than fictitious liveries is the use of wagon models which are far more modern than the liveries they carry, and wagon models which have been stretched to fit the manufacturer's standard 17 ft 6 in chassis. But what is wrong with fictitious liveries? I have two BOLAS wagons in my fleet for an imaginary colliery based at Childs Ercal (built for a friend's layout, a real place but a fictitious colliery) and a whole rake of Nantcwmdu Coal Company wagons for the colliery on my current South Wales Valleys layout which is situated in a valley which you will not find on the map. There is a long and honourable history of such creations. But I am sure your fictitious liveries are borne by wagons appropriate to the period and locale in which your model is set - so not 1923 RCH 12 ton wagons but perhaps 10 ton 7-plank end-door wagons to the 1887 or 1907 RCH specifications. Credible fiction. You might find this website quite useful, with potted histories of a number of companies. I am sure that my parents dealt with Pugh and Co in the sixties, delivering coal to our house in Carshalton Beeches. Often firms like this could supply to places some distance away from their apparent bases, although by then delivery by diesel lorry was the norm, making this easier. Ha! I see that the Gauge One-ers are just as guilty of slapping the right livery on the wrong wagon, or vice-versa! Such a volume has been published, I think, though I forget both author and publisher. trying my luck here .... so I assume anyone who models to a specific Era, Line or Rail Company would want to be as accurate as possible - so has anyone ever gone through the exercise of matching up the wagons available to the "Big Four" ? I was thinking of say ... "Pugh & Co = LMS or LNER or GWR or SR" or whatever is relevant. It doesn't work as neatly as that, unfortunately - what little routing information there is available to the authors cited above seems as often to show that our assumptions about the best/most likely route wagons would take between two points are just downright wrong. Wagons were branded with return information and had to be registered with one or other of the Big Four, but there's no guarantee that either of those are any more than a loose guide to what company's metals they'd be seen on. The companies themselves won't help you much either - the rake of Stephenson Clarke wagons I made for Grantham last year had return to information for all four companies as presumably they might be used anywhere in the country. Keith Turton's books are very helpful in indicating where companies traded and so where their wagons might be seen, but with so little of the overall picture available it all has to come with a great big caveat. Have you looked the index up? Turtons books provide information on models that have been available representing the livery - although obviously any produced after the book went for publication cannot be included. I do agree that the two books mentioned by Brian W (Fat Controller) are a useful start on understanding the coal industry - although a lot of it is post nationalisation. See section on railway freight operations. It's brutal stuff, commencing with 'obtaining a representative sample'. Have the labourers offload the complete wagon load as a level layer no more than one foot deep on a clean concrete or masonry surface ensuring that it is well mixed by spreading, and inspecting for visual uniformity as this is performed. Divide the area into four equal sections, choose two by lot, and have half the area of each selected quarter moved and mixed into a six inch deep layer on the same surface. Proceed with such quarterings until the required sample size of well mixed coal from the wagon load is achieved. Who wouldn't prefer liquid or gaseous fuel compared with that? I would think that the place to look for coal grades and qualities would be industry journals. I'll bet the labourers were cursing the day the company chemist came to sample. Then there's not just types and uses of coal, there's sizes too: photos of coal merchants' offices show posters advertising nuts and cobbles, whatever that means. of those about 40 are RTR, and probably most are wrong livery to RCH spec., e.g. Berthlwyd. But, the quality of wagons and lettering these days is superb, compared say to my own hand lettered wagons from the 1960's. ISTR a cobble is larger than a nut. Pea is smaller, mostly used on a chain grate. Hahahaha ... yes indeed .......... (still learning) what does RTR stand for please? Ready to Run, e.g. Bachmann, Hornby, Dapol, Oxford, etc., off the shelf. If you're really keen to learn, John Hayes' The 4mm Coal Wagon will teach you how to spot the detail differences even if you don't choose to use any of his modelling techniques.